Leidos has won a potential $49.5 million contract to help the U.S. Army conduct toxic radioactive waste investigations. 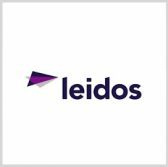 The Defense Department said Friday Leidos will support the military branch’s Formerly Utilized Sites Remedial Action Program through Feb. 28, 2023 under the cost-plus-fixed-fee contract. The Army established FUSRAP in 1974 as part of efforts to identify, investigate and clean up sites nationwide that were contaminated by early atomic weapons and energy projects. The Army Corps of Engineers received two bids for the contract via the internet and will determine work locations and funds with each order.